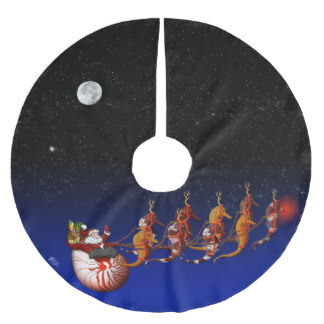 This original holiday design shows Santa Claus and his nautilus shell sleigh being pulled by his trusty team of magical seahorses as they fly into the night on Christmas Eve. The sleigh is filled with scuba diving gear and gifts for all the good little diver boys and girls. Enjoy!